GoGo Foundation in association with the Norwegian Development Fund (DF) organized a discussion program on 7 November 2017 at its meeting hall. 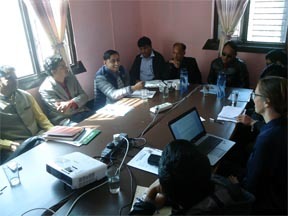 The objective of the meeting was to develop common understanding on implementation of Social Audit (SA). Also, discussed how marginalized groups can voice through this tool. In the beginning, participants from different organizations shared their experience on SA practices. Ms Aina Grodahl from DF highlighted the importance of collaborative approach to implement SA effectively. 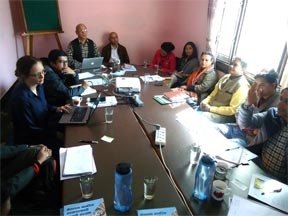 In the discussion program Kedar Khadka, Executive Director of GoGo Foundation presented overall enabling environment for SA implementation, professional use of the tool and detail steps.